«Today, we become witnesses of a significant event in life of the National guard – the cadets swore on fidelity to the Homeland will be trained in military higher educational institutions of the Russian Federation. In the country which is friendly to us and the strategic ally in many fields of activity. Taking the oath, they burden to undertake to difficulties and deprivations of military service. This requirement of the oath expresses need for process of military work to temper will, self-confidence, belief in team. 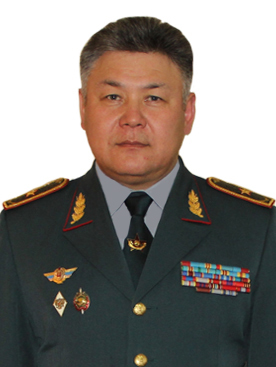 The military oath will become for each cadet, that important moral guideline which will be carried by through the cadet and then the officer life», – the chief of the Military institute Colonel Zhumabek Akhmetov noted in his speech. Also the invited guests – the vice-chairman of Council of veterans of Military institute of the National guard of the Republic of Kazakhstan colonel officer Yashkin Berdygul Myrzakhmetovich and the executive director of the branch of the republican public association «Zhas Ulan» Esenbergenov Rustem Mukhitovich made a speech. Sincere wishes of excellent study, a good health and creative achievements on behalf of all parents of cadets were expressed by mother of the cadet Artem Zhukov – Galina Viktorovna, the teacher in college of civil aviation of Almaty. Cadets Mausar Ryspek and Dastan of Abdibali solemnly promised with honor and advantage to represent our country, despite all barriers and adversities of further cadet life. «Be sure, we will justify all your hopes! 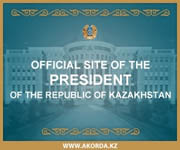 You will be proud of us – parents, brothers, sisters and friends, all Kazakhstan will be proud of us! 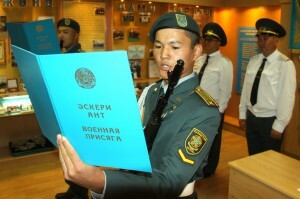 Personally, I wish to all present cadets who gathered on this festive event – self-confidence, and the most important to deserve the fortress of spirit, persistence on achievement of the purpose, good luck, belief and the truth – honor to carry officer stars!», – the cadet M. Ryspek added.